HOBART, Wednesday: Dinesh Chandimal, the Sri Lanka captain, has called on his batsmen to dig deep and post first-innings totals over 300 to give the bowlers a chance of repeating the success India enjoyed in their historic series victory. India became the first Asian side to win a Test series in Australia, a contest Chandimal watched closely while in New Zealand. Sri Lanka’s Test record in Australia is very lop-sided with 11 defeats and two draws - and they have passed 300 in their first innings in just four of those 13 matches. 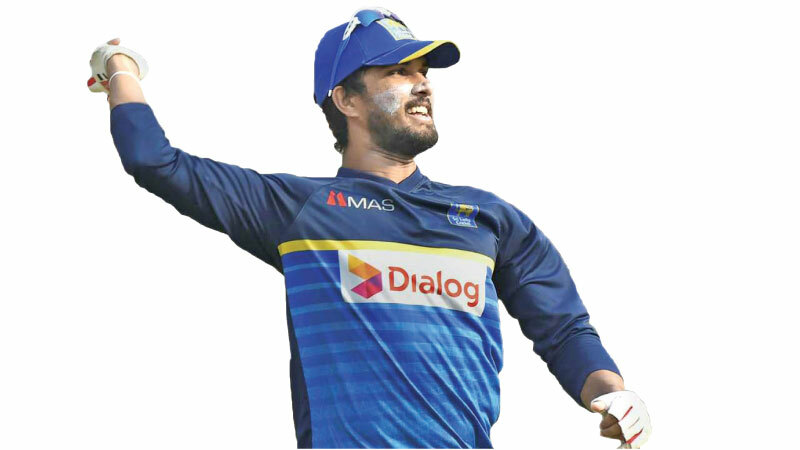 However, Chandimal has the belief that his bowling attack can cause problems in the day-night Test at the Gabba if they have runs to support them. “That’s the one area we’ll have to improve,” he said ahead of the three-day pink-ball match against a Cricket Austealia XI in Hobart. “We have done well in New Zealand in both Tests, especially in the second innings. We just want to start well whether bowling or batting. We learnt from that last series and guys have some game plans. If they can take it out to the middle it will give us a good start. Their 282 in Wellington was dwarfed by New Zealand’s 578. Then, having bowled the home side out for 178 in Christchurch, they folded for 104 in reply. In both second innings they were much improved, especially in Wellington where Kusal Mendis and Angelo Mathews batted the entire fourth day before rain helped them earn a draw. In the second Test, Chandimal himself faced 228 balls in the second innings in Christchurch. That batting unit will have to contend with the absence of Mathews who suffered a hamstring injury in New Zealand which will leave a greater onus on Mendis, Chandimal and opener Dimuth Karunaratne. “We all know how good Angelo is and we will certainly miss him. In the last series he did really well and he has a lot of experience,” Chandimal said. “This is a really good opportunity for the youngsters to show a performance. If you perform against Australia in Australia that will give you more confidence going forward. We have something up our sleeve and if we can execute that we are on the right track.